A richly romantic floor lamp distinguished by intricate detailing and subtle scroll work. Overall: 72" high. Glass is 17 1/2" wide. Base is 10 1/4" square. Uses one maximum 150 watt standard-medium base bulb (not included). Full-range foot dimmer on the cord. 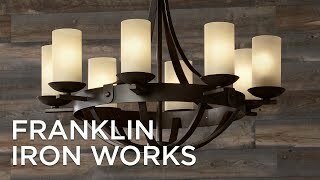 A traditional torchiere rustic farmhouse floor lamp from the Franklin Iron Works brand. Italian bronze finish with gold finish highlights. Metal and resin construction. Real marble accents. Alabaster glass shade. Style and ability to dim. 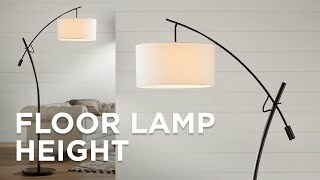 How is the shade secured to the lamp? 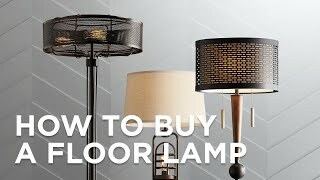 I bought the floor model and the shade just "sits" on the lamp assembly. BEST ANSWER: The glass shade is secured to the lamp using a socket ring. If the white nut is not present then the store will need to order one in for you if you want to secure the shade properly. Hope that helps. There is a white ring that screws on to the base of where the bulb goes in. does this have matching table lamp? This lamp is so attractive. Great construction and overall design without looking over the top fancy. The marble piece on the base was broken with the first lamp was shipped. It was annoying to have to wait 4 weeks to have the broken lamp shipped and the replacement re-shipped, but in the end, I am happy to have it! This lamp will really make my living room bright and add sophistication. The saleslady put it aside for me. I picked it up the next day and it was wrapped and ready to go in no time. Nice sales people. Nothing hard sell. Will go back due to sales people and excellent selection. We loved this lamp. It fit our decor and space perfectly. However, the foot dimmer switch, which is the only way to turn on the lamp, quit working. It got no power. We returned it to Lamps Plus and they ordered us a new lamp. Two months later, the same thing happened. No power to the switch that turns on the light. Lamps Plus refunded us without any problems. ( Yay!, Lamps Plus) But we miss our lamp. The lamp is gorgeous and the photo online doesn't do it justice. It arrived within a week in very substantial packaging and we were able to assemble it in about 10 minutes. The dimmer makes it very functional, however be aware that a dimmable LED bulb is not compatible with this lamp. Beautiful lamp!! The packaging was terrible, cleanup took over an hour what a mess!! Tha lamp is sturdy brightens up the living room . The floor slide instead of a switch is very annoying will need to use double sided tape and put behind mt curio too dangerous on the floor! I must say the lamp is real nice and well worth the money! Cons: needs an on and off switch not a slide! Picked up in the store. Exchange was very easy. 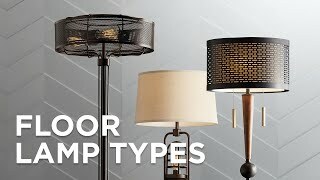 Lamps Plus provided great service.